Notice all the differences between the old and new Porker decks. On the new, the graphic is larger and the deck has a round nose instead of a flat one. Both decks are still a hair wider than 12 inches, though. 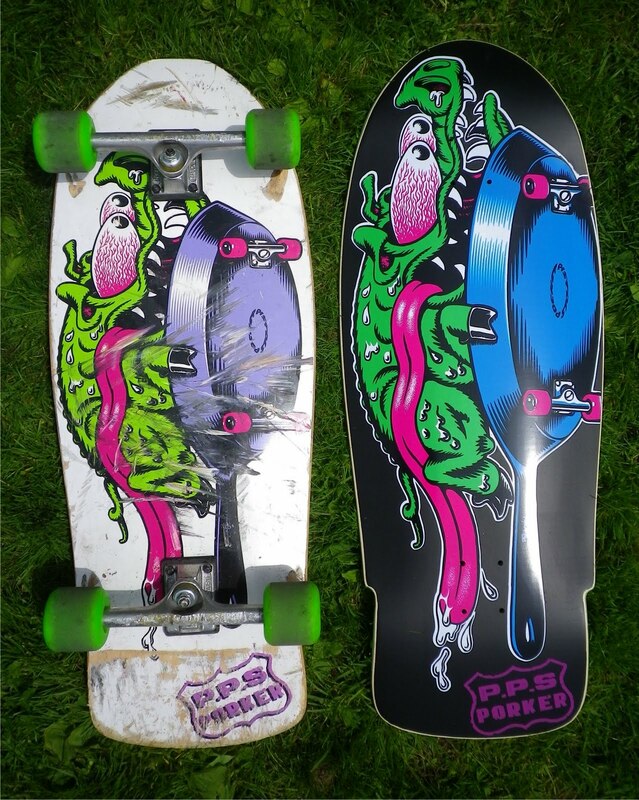 Another ripping creation from Pocket Pistols Skates.